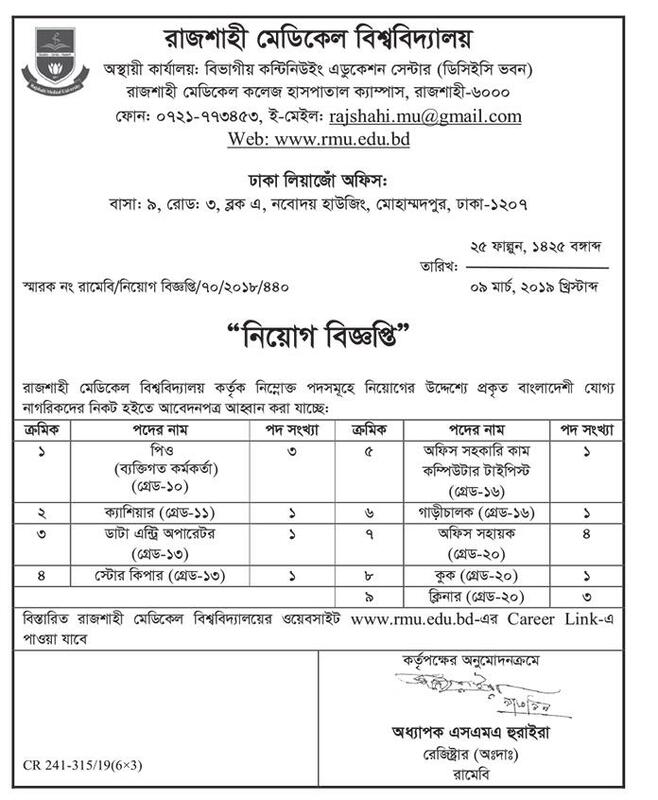 Rajshahi medical university job circular 2019 has been published by the authority. It’s an attractive job circular and it’s a huge chance to unemployed people. By join this job,anyone can build his career. Those,who want to work,they should be taken out of this opportunity. Rajshahi medical university is the part of Bangladesh government. Rajshahi medical university is the most important part of Bangladesh education and health sector.